Today did some maintenance on the webserver. 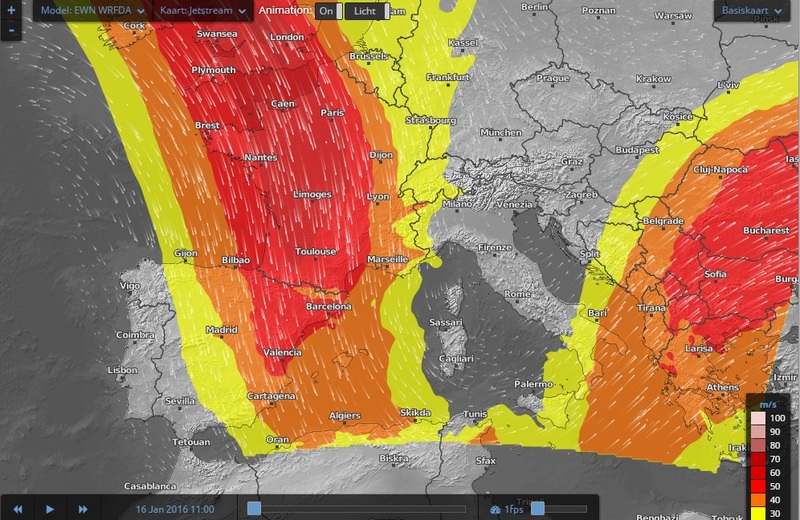 Hopefully the site will be faster again after clearing up the database behind meteocalpe. Also the Webcam archive wasn’t working properly for a long time, now fixed! 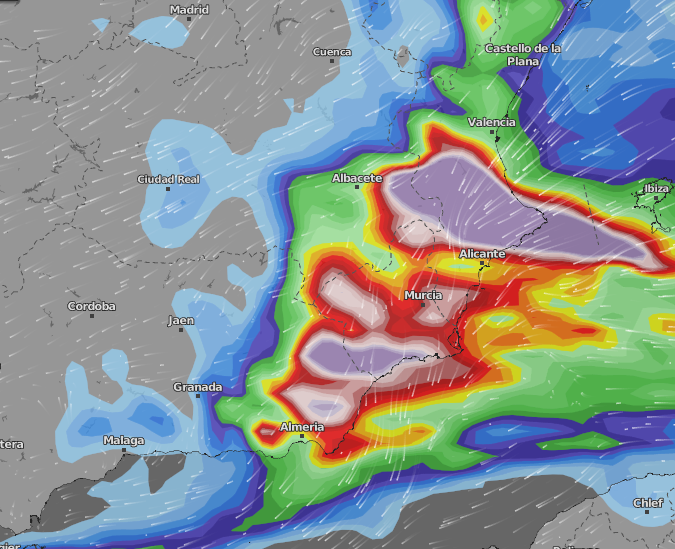 Also the Valencian Rainradar is functioning again. For some reason also the last day of the month isn’t updating the last day of the month, in the weather history will be updating them manually shortly. -twitter not updating on frontpage. if you spotted more bugs’s or interesting info to be added please comment below. This entry was posted in en_only on 26 June 2017 by mathijs. This entry was posted in en_only, Geen categorie on 16 December 2016 by mathijs. This entry was posted in en_only on 1 October 2016 by mathijs. After the on going drought this year took 271 days to get to 100mm of rain. For the coming days there is little more rain expected, after Friday again higher temperatures and dry. 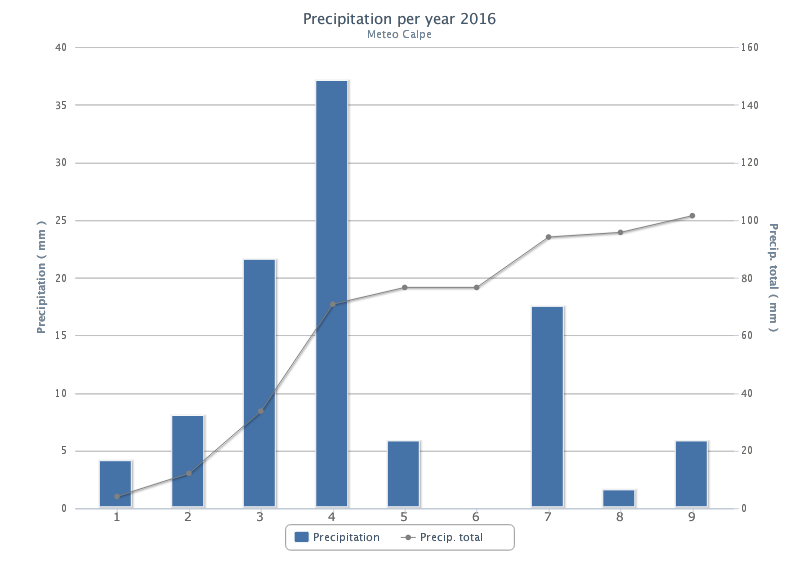 In A normal year 500 mm is average, only a Gota fria can make up the rain season. This entry was posted in en_only, Geen categorie on 27 September 2016 by mathijs. 5 september was record warm Calp, with 31.7c record Avg temp. 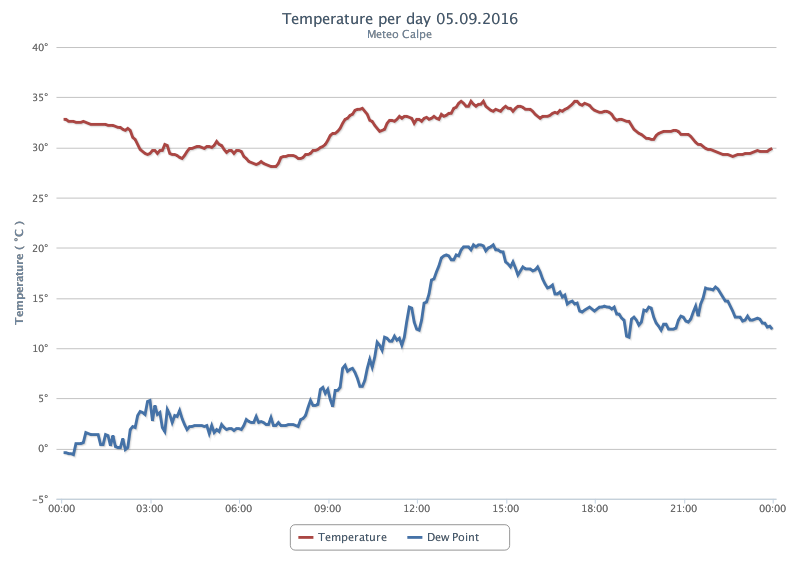 With a max 34.7c and 28.1c in the morning as record low temp. Only a short time the temperature went below 30c. This entry was posted in en_only, Geen categorie on 6 September 2016 by mathijs. This entry was posted in en_only on 16 January 2016 by mathijs. Welcome to the new page of Meteo Calpe! There are some new features and some repaired functions. Of course, the appearance again is changed into a more modern layout. The most important features are all there again, and maybe some will return in the future. From now Meteo Calpe will also give UV data and Sunshine data, that are provided by the newly installed meteo/weather station, “Davis Vantage Pro2 Plus” 6163EU this also has an actively cooled temperature hut for the most accurate measurements possible. This entry was posted in en_only and tagged weer on 9 November 2015 by mathijs.